As the world came together on the 11th November 2018, our hearts and minds were with those who lost their lives in every conflict past and present. 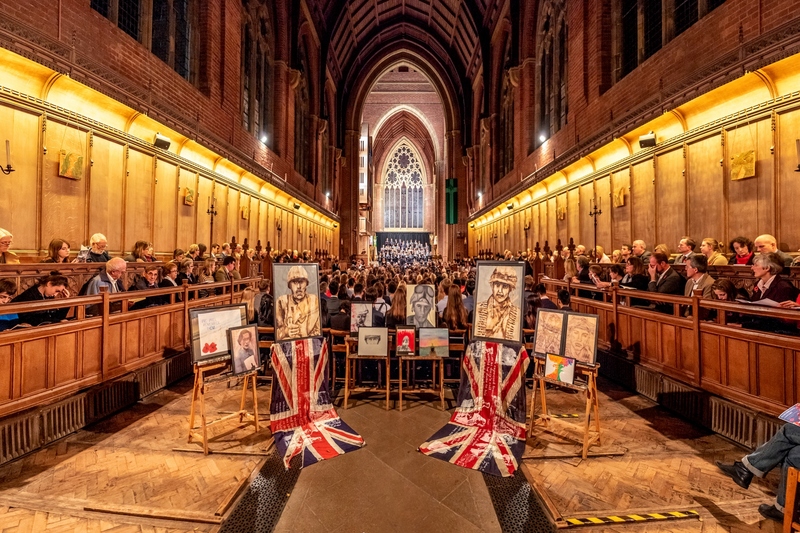 This Remembrance concert on the centenary of the Armistice, First World War commemorated the courage and strength of every person, every family, every country who were involved in this tragedy. The Prep School Chamber Choir opened the concert by singing Lord, Make Me an Instrument. The purity and peaceful nature of their performance created a beautiful poignancy in the air. Sequentially, David Bednall’s Requiem, sung by the girls of Schola Cantorum, was equally mesmerising and moving; the simple structure and melody line underlined the bleakness of the war. In contrast, Elgar’s Spirit of England demonstrated the power and patriotism of the people of England – this great orchestral work includes some harmonic dissonance, as well as majestic moments that are associated with great scope of Elgarian melodies. These capture the essence of England during the war. The beauty and splendour of the music was manifested through a wonderful performance from Soprano Michelle Walton and was a fitting recognition of the 100th Anniversary of the armistice. Fauré’s renowned Requiem Mass is the epitome of remembrance – a “prayerful lament” of those who have died, keeping in our minds especially pupils from Ardingly College. Some of the most heartfelt melodies were created in this work, in particular the Agnus Dei, Pie Jesu and Libera Me, sung so beautifully by Eithne Yates-Kneen and Oliver Pilgrim respectively. Finally bringing the concert to a catharsis, the serenity of In Paradisum helped us to remember that those who gave their lives are at peace. 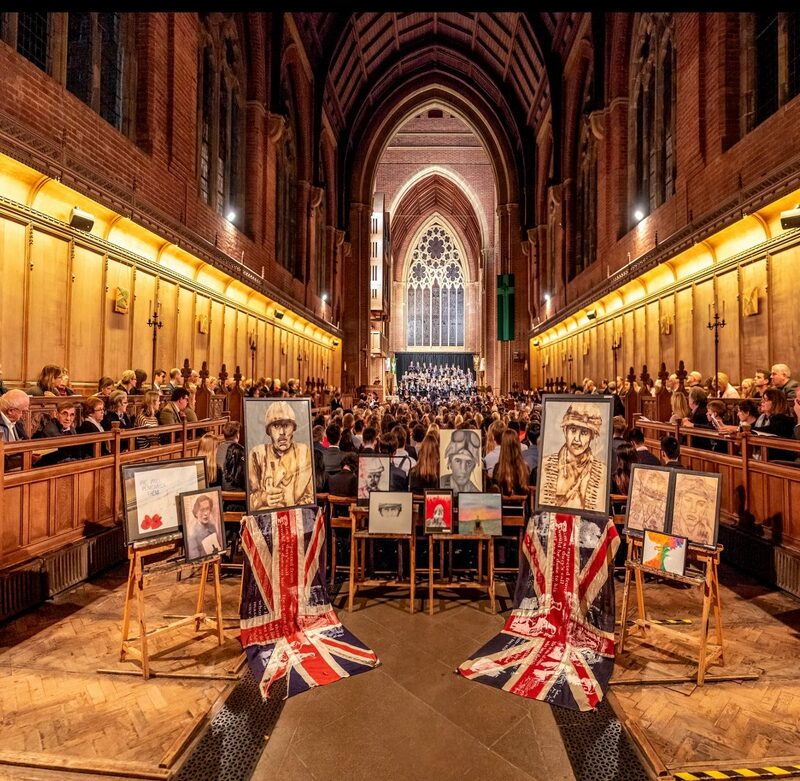 A concert of music and readings attended by a full chapel served as an extremely fitting tribute to all those who we remember lost in the cause of freedom.